The Social Insurance Number (SIN) is a unique 9 digit number that is allocated to each and every individual by the government to be used for the income and tax purposes. It is a government requirement for every individual to be eligible to work in Canada and to calculate any government subsidies and income support programs. The SIN was created in 1964 as a client account number to help government administer the Canada Pension Plan and other employment insurance programs. In 1967, Revenue Canada (now Canada Revenue Agency) began using it for tax purposes. You can get your SIN by filling out an application form and taking it to your nearest Service Canada Centre along with an original proof of identity document. 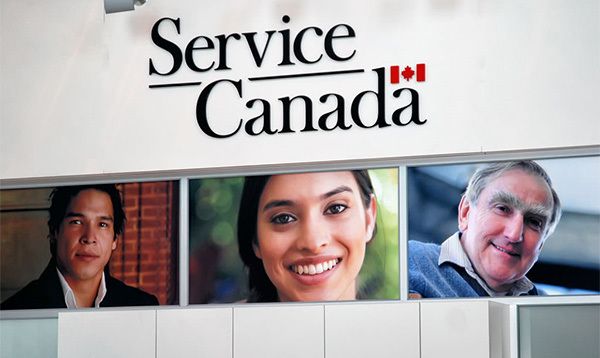 Application forms are available at Service Canada Centres or online (www.servicecanada.gc.ca). Parents can also make the application for their children through the online Newborn Registration Service. There is no fee to apply. Many settlement agencies can help a person apply for their SIN number. As of March 31st, 2014 Service Canada has stopped issuing the plastic SIN cards, to help protect people against identity theft. People now receive a paper Confirmation of SIN letter in the mail. SINs that begin with the number 9 are issued to temporary residents who are neither Canadian citizens nor permanent residents, such as foreign students or individuals on work visas. These SINs have an expiry date, corresponding with their visa expiry. It’s a good idea to apply for your SIN as soon as you can. That way, you will have it ready for your employer or other services you are entitled to. An employer cannot process your pay stub when you don’t have a SIN. The law in Canada set as such that your employer has to ask you for your SIN within 3 days after you start a job. In most cases, you need the SIN number to file your income tax return. In some cases, you cannot get a SIN because you are not eligible. This is the case for some temporary residents. If you cannot get a SIN, you can use an Individual Tax Number (ITN) or Temporary Taxation Number (TTN) to file taxes, instead of a SIN. You do not always have to provide your SIN, even if someone asks for it. For example, banks often ask for a SIN, but you can open a bank account without having a SIN number. Do Children Need a SIN? Children do not need a SIN unless they will earn money from a job or from an investment in their name. For example, if your child has a Registered Education Savings Plan (RESP), your child will be required to have a SIN number. However, if your child is eligible for a SIN, you can apply for one so that it will be ready when they need it. If your baby is born in Ontario, you can apply online for a birth certificate and Social Insurance Number using the Newborn Registration Service. You can use this service until your child is 1 year old. After your child is 1 year old, you can apply for a SIN from Service Canada. What privacy risks are related to the SIN? Rent vehicles, equipment, or accommodation in your name, leaving you responsible for the bills. If you require any further information, contact Ke Wang Professional Corporation to get more details in regards to this matter. Ke Wang Professional Corporation with its extensive professional knowledge, dedication and vast experience would be pleased to assist you with any of your accounting and tax needs.